«The main thing is not to lose your rhythm,» I repeat to myself quietly on a chilly January morning, sitting by a sprat packing conveyor belt in a fish factory. My eyelids are still a little heavy from getting up at 5.30am. Outside the temperature is a little below zero, but about 15 degrees in the factory. I’m wearing a thick winter jacket with a hood, but the cold is still slowly creeping through my body from my galoshes, until it finally reaches my fingertips. They are wet from the frozen fish and oil. «Remember the rhythm» I remind myself as I take the next empty can. I try to lay the sprats in the can using both hands as I was shown by my team leader Aina* — in two rows, at an angle and stomach-up. I weigh the can (138 — 142 grams are required) and put it in a box. When there are 30 cans in the box, Aina registers it and gets the loader to take it away. And I start again. I lose my rhythm. The fish fins stab my fingers. I cut my fingers three times on the edges of the cans. The blood flows freely, and Aina comes over and places a rubber sleeve-like “cap” on my finger. «When it’s full, come over and I’ll give you another,» she tells me. You’re not allowed to use band-aids. About 10am, just like every morning, Ivars Pūciņš, the director of the company — a grey-haired man in a blue jacket and a baseball-type cap — walks past us. Against the background of the loud droning of the factory, he says «Good day!», looking more at the fish than at the workers. Pūciņš also provoked me, a Re:Baltica journalist, to try out what it’s like to work as a fish packer. More to the point, it was what he said during an interview shortly after the New Year on Latvijas Radio. The director talked about how Latvia’s largest fish processing factory, Gamma-A, where he’s in charge, couldn’t find workers, even with its turnover of 19.6 million lats (28 million euros). According to him, the average wage at the factory is 240 lats (341 euros) per month, with free accommodation in dormitories and with free lunches provided. But even with this, only one person from the city of Rēzekne, where they’d placed an advert in the local paper, rang and expressed interest. Out of the total number of 600 workers at the factory, about 50 had already been brought in a while ago from Bulgaria and Rumania to assist with the expanded business. Pūciņš and the President of the Fish Farmers’ Association, Inārijs Voits, who were interviewed on the radio programme, have no doubts as to why it’s so hard to find local workers. Even though Latvia spends almost the smallest percentage of GDP on social welfare programmes in the European Union, both businessmen blamed supposedly large social benefits for the shortage of workers. Re:Baltica often heard a similar assertion from politicians and employers whilst undertaking research on social inequality last autumn. While Prime Minister Valdis Dombrovskis was presenting Latvia’s «success story» to the world, the research by Re:Baltica uncovered a dark side to it — the largest wage inequality in the EU, because our tax system provides more advantages to the richest residents. Even now, the government continues to boast about economic development, which was the most rapid in the EU last year, with GDP growing 5.5%. The Prime Minister emphasized that 30,000 new jobs had been created. But the growth of a nation’s economy doesn’t automatically mean that everybody’s life improves. Last year 17% of people of economically active working age in Latvia were still without a job. If there’s labour available, why are business owners complaining about a shortage of workers? 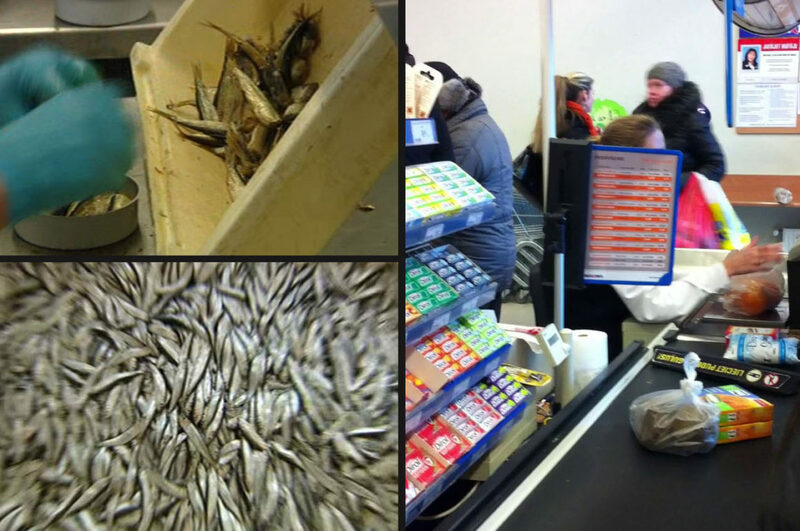 To find out, Re:Baltica’s journalists went to work at the Gamma-A fish factory and at Latvia’s largest employer, the Maxima supermarket chain, as part of its continuing research into social inequality. It’s the middle of the day. My back hurts so badly that I’m barely able to stay seated. The only break which I’ve used was the half an hour for lunch at about 11am. Today there are cinnamon rolls and pearl barley and potato soup for lunch. «If you want something tasty then you have to pay for it,» responds the cook in a husky voice to a worker who reproaches her for making terrible soup. The other female workers having lunch are friendly, just like my other colleagues at the factory and in the dormitory. An older lady with blue eye-shadow calms me down — eventually you’ll be able to work faster and you’ll get used to the back pain. Later as she passes me on the factory floor, she encourages me: «With both hands, use both hands, working like this you won’t earn anything». I turn my head to the side and I’m amazed how quickly the hands of the women alongside me move. I finish my shift at about 3pm. I scrub down the table, take off my white coat and head for the dormitory. It is located in a former yacht club next to the factory territory, which is surrounded by barbed wire. Seagulls shriek in the air, and the smell of fish is noticeable. I have a small clean room where there are four beds with bedside cabinets and a large wardrobe for our coats and overalls. On the first evening, when I sit down on the bed, it sinks right to the floor. With the help of my roommate Vita, we push a plywood sheet, which we found in the corridor, under the mattress. A little later, I take a shower to try to wash off the stench of fish. I don’t shower for very long as there’s only one shower cubicle for the 38 residents of the building. The shower door, covered in mould and lime, is broken. There are two toilets for the lot of us. There is also a kitchen with a stove, a microwave, two refrigerators and a washing machine. There’s a black and white cat living in the kitchen as well, which has a soft blue abode set up there. I don’t feel like dinner tonight. I bind my cut fingers with some band-aids that I bought myself, and lie down on the bed. My back hurts, but Vita calms me again — you’ll get used to it. She is about fifty years of age, just like my other roommate Inita. Both of them came to work at Gamma-A from the town of Cēsis, where the unemployment level is 12% and where they couldn’t find work. One day the women in the smoking room are discussing how they’d be better off working at a supermarket, if only they’d take women of their age there. People in the pre-pension years are the biggest group of unemployed in Latvia — nearly a third of the unemployed are aged between 50 and 59 years. Vita’s and Inita’s lives are now spent at the Gamma-A factory and in the dormitories. Inita visits her apartment at Cēsis twice a month on weekends. One of her daughters is working in England while the other has just completed her studies in Rīga and is looking for work. Most of Inita’s wages go towards paying the utilities for her Cēsis apartment, in which she hardly lives. She doesn’t have a television or the internet — she can’t afford them. Although the director of Gamma-A said that accommodation was free in the dormitories during his interview on Latvijas Radio, we have to pay 25 lats (36 euros) per month for our place there. Nobody wants to talk about the monthly pay at the factory. But I estimate that, by working more than one shift, a fish packer can earn about 200 to 250 lats (285 to 356 euros) post tax a month. This coincides with the average wage in fish processing in Latvia, which last year was 212 lats (302 euros) post tax, 6.5% more than the year previously. The workers don’t feel these increases in their purses, as the costs of food, transport and maintaining an apartment have at the same time increased nationally by 12%. Gamma-A pays 2 santims (2.8 euro cents) pre-tax for each can of fish packed. Aina the team leader tells me the rate because the monthly wage according to my employment contract is supposed to be 240 lats pre-tax, working an official 40 hours per week. The contract mentions «aggregated working hours», which means shift work. Usually the first shift is from 7am to 3pm, with the second shift after that working till 11pm. Specific working hours are not mentioned in the contract and in reality you have to work for as long as there are fish to pack. The State Labour Inspectorate later informs me that the specific working hours and rate should be provided in the Gamma-A employment contract so that I know what my working hours will be and how much I’ll earn. As Latvijas Radio 2 plays continually in the background, I calculate what I’ve earned on my first day. I’ve packed three boxes with 30 cans in each. In total — 1.80 lats (2.56 euros) pre-tax. I got faster in the following days and improved to five boxes or 3 lats per day. The women around me would each pack 12 boxes a day. Therefore, by working faster, one can earn over 7 lats (10 euros) per day pre-tax for packing fish. I calm myself with the thought that my job is still relatively easy. My colleagues next to me tell me that the cutters find it much harder. You get paid four lats (5.70 euros) for cutting the heads off of 100 kilograms of sprats. Contrary to the World Bank’s recommendation, the welfare system in Latvia was not centralized, leaving each local council to pay what it can afford. The richest ones pay more, and that’s another reason why people in Rīga, unlike country people, are not ready to work 12 hours a day packing fish in cold conditions for 200 lats (285 euros). In 2011, the average sum paid to recipients of benefits in Rīga was 279 lats (397 euros), while in Roja county it was 109 lats (155 euros), and in Sēja county only 38 lats (54 euros). On the day I began work at Gamma-A, Inese also moved into the dormitories. She was a young woman from Mērsrags, a village on the Gulf of Riga, wearing above the ankle boots with stiletto heels and carrying a faded Oriflame bag. There were apparently no jobs at the local factories, and that’s why she had returned to Gamma-A. You can earn more at Gamma-A also, she explained — not because the rate of pay is better, but because there is more work. Working on multiple shifts, you can make more than 200 lats (285 euros). Wages are lower in the countryside. Workers at fish factories in Rīga earn around 320 lats (455 euros) post tax while at those in Kurzeme, the western region of Latvia, about 207 lats (295 euros), according to data from the Central Statistical Bureau. «It’s not easy, but which job is easy? You have to work while there’s a job available,» says Mārīte from Kurzeme, in a conciliatory way, about the low pay. She is of pre-pension age. Officially Mārīte is supposed to be a fish processor, but, like most workers here, she ends up doing whatever she is told to do: she packs fish, strings them for smoking in the oven, and packs them into boxes. The women like packing most of all because it is done in a warm area, but it also pays the least. The fish stringers are the best paid but the job is hard — your hands are cold and wet all the time, and you have to stand in your rubber boots for a minimum of eight hours. Each morning Mārīte gets up before five o’clock so she can get to work on time at the Sabiedrība IMS factory at Mērsrags. The factory bus collects those residing locally early, so that everyone can be ready at work on time before 6am. Workers from places further away must get up much earlier; those in the village Strazde, for example, must wake up before 3am. Egita, another woman from Kurzeme, adds that during the economic crisis when her husband lost his job, she didn’t even earn the minimum wage working at the fish factory, so now she’s glad to receive even that. It’s illegal to pay below the minimum wage in Latvia, but the workers provide some oral evidence: it has been a regular practice, particularly during the crisis period. «You get paid for the volume of work you produce. If you don’t produce the minimum, then you don’t get even that,» explains Egita’s husband, who has also worked at a fish factory. Egita’s family, with a number of school-aged children, basically survived the crisis on her small wage and a 170 lats (242 euros) invalid pension. The local council gave her a one time benefit of 60 lats (85 euros) for firewood one winter. There were also humanitarian aid packages of oatmeal and clothing. “It’s true that I’ve worked in a variety of jobs. I’m not afraid of work. I’ve worked on the 100 lat benefit programme (editor: a state employment scheme paying 142 euros a month) and swept streets, but I really want to earn a decent wage. After spending my day in damp and cold conditions, I want to at least be able to buy some more expensive cream to rub into my hands. But with those wages it’s just impossible. I have children to support,” explains Egita. She’s never received the large benefits which are often mentioned in the media. “I can only speak about myself, but when I hear that people receive some sort of money, and live off benefits alone, I don’t know who they are talking about,” says Egita. Forthcoming World Bank research could for the first time provide the facts to dispel the myths about this growing generation of welfare recipients. Based on the first survey data from the World Bank, in April the Minister of Welfare, Ilze Viņķele, announced that talk of the abuse of the benefit system had been exaggerated. The opinion that welfare benefits were being widely abused had become prevalent due to statements of local council employees, but these statements were not based on sufficient evidence. This is new rhetoric coming from the minister. In recent years, the media has also been spreading unsubstantiated assertions about large benefits to welfare claimants. Against the recommendations of international lenders, and based on assertions by local council employees, and often from businesses as well, the government significantly reduced the 100 lat benefit program this year. Every sixth participant in this program subsequently found a permanent job within six months. The government also reduced the GMI (Guaranteed Minimum Income) benefit and made the municipalities solely responsible for providing it. This GMI program supplements the incomes of the poor to make sure that each person receives a minimum income of 35 lats (50 euros) a month. In Latvia, tax policy is disadvantageous to those receiving low wages. According to the International Monetary Fund’s calculations, after various changes in the laws on tax, tax on low wage earners increased by 7% in 2009. The Value Added Tax, which affects the poor most directly, was also increased from 18% to 21%. Even last year, the Saeima (the Latvian parliament) once again acted against the interest of the working poor. The Ministry of Finance offered to raise the tax free income threshold from 45 (64 euros) to 90 lats (128 euros) a month and in the coming three years to reduce the individual income tax rate. After pressure from the Reform Party, however, the Saeima adopted only the individual income tax rate reduction. Low wage earners benefit least from this. Economic experts consider that it would have been more socially just to support both — businesses as well as employees. The Unity Party’s Minister for Finance, Andris Vilks, told Re:Baltica that he lost the political fight last year on this issue. As a compromise, the Ministry will be offering to raise the tax free threshold from next year to 84 lats (120 euros) for recipients of a minimum wage. For larger wages, this will be reduced to 45 lats (64 euros) according to a special formula. If the Ministry of Finance’s reform is implemented, minimum wage recipients will get 26 lats (37 euros) more in hand. Currently, they gain only 1.33 lats (1.89 euros) from the reduction in the individual income tax rate. Invest or buy a Porsche? The need to invest in production and the tough competition is the standard response for why businesses don’t increase these low wages. There is some basis — Latvian businesses have the greatest tax burden in the Baltics. An employee with a wage of 200 lats (284 euros) after tax will cost an employer in Estonia 319 lats (454 euros), in Lithuania 325 lats (462 euros), but in Latvia 347 lats (494 euros). However, Re:Baltica’s calculations overturn the assertion that wages cannot be increased due to business owners having to invest in production. In 2011, of the eight largest fish processing businesses in Latvia, only half of them invested in equipment and the sums were comparatively small — six businesses had a positive result earning a total of 1.9 million lats (2.7 millon euros), but during this period 233,000 lats 332,000 euros) were invested in equipment. Gamma-A is among these companies — their profit was 1.14 million lats (1.6 million euros), with 50,000 (71,000 euros) being invested in equipment. Plus, the company has also attracted EU funding in recent years to improve production — 266,000 lats (378,000 euros), and an application for another half a million is currently being assessed. Gamma-A is the largest fish processing business in the nation. The most recent Lursoft data available reveal that the company rapidly increased its production in 2011. The volume of processed fish conserves doubled and metal packaging production of cans and lids increased. The proportion of conserves sold in Latvia, 549,000, forms only a small part of the 19.6 million lat turnover. The biggest markets were the USA, Russia and Belarus. This picture reflects the fish processing sphere as a whole. Nearly all of the fish products produced in Latvia are exported around the world to some 40 countries, forming a turnover of 50 million lats (71 million euros). Gamma-A spent 9% of its 2011 revenues on wages for its 600 workers. Including administrative employees, the average monthly wage at the factory was 188 lats (268 euros) pre-tax. Comparing it with the other large fish factories in Latvia, one sees that lowest wages in 2011 were paid here. Annual reports show that at the Karavela company, the average wage was 320 lats, at Sabiedrība IMS 195, and at Brīvajs vilnis — 321 lats. This data does conflict with what fish factory workers say, that it’s specifically at Gamma-A where one can earn more than in the factories in the regions. The Chairman of the Salacgrīva company Brīvais vilnis, Arnolds Babris is of the view that half of the fish processing companies in Latvia cheat on paying taxes, but he doesn’t provide specific names. «I can clearly see that companies are proficient at paying more than half in envelopes, optimizing and also operating schemes with respect to VAT,» says Babris, who was earlier a high ranking employee in the Constitution Protection Bureau. The pistol under his jacket is evidence of some nostalgia on his part for his former profession. «You can never know who your enemy is,» he laughs, when asked about the need for the gun. Brīvais vilnis is the only fish processing company where there is an active trade union. It regularly organizes excursions, for which the company provides the bus; everyone is reimbursed for their annual health check up; and the factory chairs have been changed to ones that can be adjusted. Currently, discussions are taking place about paying for fitness exercises. Babris agrees that wages are not high, but points to the importance of how you treat people. The locals stand in line to get a job at Brīvajs vilnis. Meanwhile, Gamma-A is making plans on how to bring in more guest workers, «so that the factory can keep operating, if we want to survive». In the current situation, it looks as if it’s more opportune for Gamma-A to pay low wages than improve productivity. Packing sprats in cans is done by hand throughout the world, but other jobs can be mechanized — the stringing for smoking in the oven and the processing, for example. Gamma-A co-owner Aivars Lejietis, did not provide substantial answers to Re:Baltica’s questions about the opportunities for productivity improvements even after intensive communication by telephone and in person over a number of days. Lejietis’ view was that the aim of this article is to blacken his company’s reputation. Gamma-A brings in Bulgarians who are even poorer than Latvians. As EU citizens, they don’t have to be paid any more than Latvians. But even the Bulgarians can’t handle the rough conditions. A proportion has already left after a few months. Life in the Bulgarian dormitories is even tougher than for the Latvians. The windows of each landing in the stairwell are grimy from cigarette smoke in the multi-storey building in the factory territory. There are up to eight beds in some rooms which are partitioned by cloth curtains to provide a modicum of privacy. Cockroach baits have been placed in the corners of the rooms. However, last year the company was able to purchase an exclusive PORSCHE CAYENNE-S car. The Kapitāls magazine reported that a total of only four such cars were registered in Latvia last year. The price of one begins at 78,000 euro. In comparison, — an increase in wages of 10 lats per month for its 600 workers, would have cost the company under 137,000 lats (194,000 euros) per year, or the equivalent of two and a half such vehicles. Last year Gamma-A also purchased a 2012 BMW passenger motorbike and a 2012 Toyota Land Cruiser. The year before that, the company purchased the latest Land Rover Range Rover Evoque. How much the company earned last year was still unknown at the time of writing this article. Businesses «often refer to welfare benefits interfering with people’s integration into the labour market. My argument was that, even in the medium-term, employers should be interested in how people on low incomes can afford a normal lifestyle here in Latvia; otherwise, if not today or tomorrow, then after a year, a large proportion of them will emigrate,» says University of Latvia lecturer and migration expert Mihails Hazans. His research shows that people on low wages dominate the group of those who left Latvia last year. In 2010 and 2011, 40% of those who left were registered unemployed — people who had lost their jobs relatively recently and were motivated to work. But not for the wages offered by fish factories. «This is one of the problems causing migration. Not just the low wages, but also the attitude towards their workers as material to be used just like a piece of wood or something else,» concludes Hazans. Re:Baltica’s journalist endured a week at a fish factory. «I thought as much,» said the woman in the personnel section in a quiet voice, as she accepted the resignation. The director at the Maxima store in a suburb of Rīga also didn’t look surprised when a cashier resigned in March after only working a month and a half. The director didn’t know that the young woman was a journalist: «We’re sad that you’re leaving, we liked you». Re:Baltica made the decision to go and work in Maxima for a number of reasons. Last year, the Minister of Welfare, Ilze Viņķele, pointed out that one can find a job in Latvia, indicating these supermarkets as the specific example. The intensive advertising of vacancies at Maxima also provided evidence of a shortage of employees. The Lithuanian owned supermarket chain, Maxima, is the largest private employer not only in Lithuania, but also in Latvia. There are about 7,000 employees working here in Latvia. In comparison — 4,600 employees work for the Swedish owned Rimi, which has almost the same turnover — 400 million lats (569 million euros). Last year, based on the number of employees, the State Labour Inspectorate received twice the number of complaints about Maxima as about its fiercest competitor, Rimi. Maxima emphasizes that these complaints don’t have any legal consequences, and that the company’s actions have been in accordance with the law. Information gathered by Re:Baltica showed that cashiers and warehouse employees receive the best pay at Maxima. Their pay is from 200 lats (285 euros) per month, while a person filling shelves earns less — from 170 (242 euros) and a cleaner — from 160 lats (228 euros). The employment contract signed is «part time», guaranteeing work of at least 120 hours a month with the hourly rate of pay set by the state, which is 1.20 lats (1.71 euros) pre-tax. Re:Baltica has seen an employment contract signed in November last year by a new cashier at the Supernetto store (which belongs to Rimi), where the rate of pay is higher — 1.73 lats (2.46 euros) pre-tax. The pay at the two supermarkets differs according to the length of the employee’s service and his or her responsibilities. The specific rates are a commercial secret, but employees tell us that the average wage at both chains is 300 (427 euros) lats per month post tax. Employment contracts at both supermarket chains indicate that they are part time with aggregated hours of work. These types of contracts allow the supermarkets to employ, for example, students or pensioners for fewer hours. But during the crisis, this form of contract began to be very widely used in industry, including in manufacturing and in retailing. The Free Trade Union Confederation of Latvia (LBAS) lawyer Kaspars Rācenājs says that employees accept changes to their employment contracts in order not to lose their jobs. It appears that businesses currently use this form of contract to avoid paying the minimum wage. «The second reason — to get back at the employee. If they don’t like them, they don’t put them in the schedule,» says Rācenājs. From State Revenue Service data, the conclusion can be reached that the number of part time contracts in the low wage group increased rapidly during the crisis. Evidence of this can be seen in the proportion of jobs with incomes less than the minimum wage, which increased from 16.5% in 2008 to 27% in 2011. In recent years this has decreased a little. The employer indicates the minimum number of hours in the part time contract, and just pays the employee for any extra hours as and when needed. A retailing specialist explained to Re:Baltica that if managers see that they’ll be unable to achieve the planned monthly revenue, they save on wages by using a smaller number of people more intensively, and only two of the five cash registers operate. Maxima employees also make the most complaints to the State Labour Inspectorate (SLI) about the calculation of working time and their pay. «The employer counts up the agreed working hours inaccurately. If they are not counted, they’re also not paid,» says SLI representative Vilnis Virza. It is difficult to prove these kinds of breaches: «We’re not magicians». Since 2007, eight administrative penalties have been issued to Maxima for various breaches. Of the other similar chains, Mego had the same number, Iki — 4, Rimi — 1. During the crisis the number of employees at the Inspectorate was decreased from 234 to 158, although the number of complaints rapidly increased. The Re:Baltica journalist was also perplexed about her pay at Maxima. According to her own calculations, she worked 85 hours in January this year, but her wage sheet showed an hour more. In total she earned 146 lats (208 euros) pre-tax. In February, according to her own calculations, the journalist worked 193 hours, but her wage sheet showed 160. She received 301 lats (428 euros) for her work which is more pay than the agreed hourly rate of pay in the employment contract. 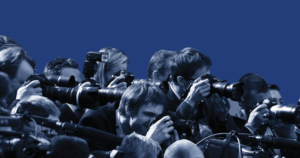 In response to a Re:Baltica request to explain the inconsistency, Maxima’s media representative wrote that the journalist had made a mistake in her calculations — she hadn’t deducted 16 hours for lunch breaks from her working time, whereas the increase in pay arose from 17 overtime hours at work, which are paid as double time. The journalist doesn’t agree with this explanation, however, and insists that she worked 193 hours, without adding lunch breaks. The trade union is trying to limit the impact of such clauses in part time contracts. It wants changes in the Labour Law to forbid unilateral changes to agreed work schedules, but the Ministry of Welfare has rejected the proposal. Currently the biggest battle is taking place over a reduction in pay for overtime and the possibility of dismissing trade union members without consultation with the trade union. The National Tripartite Cooperation Council will decide on these issues this week. All three interested parties will be participating — the state, the employers (Employer’ Confederation of Latvia — LDDK) and the employees (LBAS). Who will win? Up to now, the employers have been more powerful. «Unfortunately, those receiving a minimum wage aren’t doing too well in lobbying in the corridors of power,» concludes LBAS President Pēteris Krīgers. He has to accept some of the responsibility himself — the number of members has not significantly grown in the ten years since Krīgers has been leading the LBAS. LBAS and the 20 trade unions from various spheres making up its membership unite 10% of Latvia’s employees, approximately 100,000 people. The majority are employees of institutions belonging to the state or municipalities– employees such as teachers, nurses, and representatives of companies involved in transport. Our neighbours are even less active —9% of employees are in a trade union in Lithuania and in Estonia 6.7% of employees. In Estonia, however, employees working in the medical field finished a 25 day strike last year, coming to a collective agreement with the Hospitals Association, and in March this year teachers forced the government to promise them an 11% increase in their wages. Despite the fact that Maxima is the largest private employer in Latvia, there are only 70 employees from the chain in the Latvian Union of Retail Employees, which represents the sector. For comparison, there are 600 from Rimi. Trade union leader Maira Muceniece doesn’t want to criticize Maxima, as she is hoping for constructive future collaboration. But the facts speak for themselves. The trade union has already signed two joint agreements with Rimi and a third is coming, while there have only been a few discussions so far with Maxima. The minutes from the meeting between Rimi and the trade union have been published on the trade union’s home page, while Maxima declares their talks to be secret. Rimi allows the trade union’s educative materials to be left in the employees’ lunch room and for them to meet with their employees at their stores, while Maxima forbids this. “People are very afraid as it’s often said that if you’re in a trade union, we’ll try to get rid of you in any way we can,” says Maxima employee Santa. Despite the negative attitude of her store’s management, she believes that working conditions can be improved with the help of the trade union. “But I said that I wanted to work here. I like working here and I have good colleagues here.” Santa lists the advantages of working at Maxima — free lunches, health insurance after a year of service, high quality presents given to her children at Christmas. The disadvantages — a domineering attitude, which, to a large degree depends on the manager of the particular store; inaccurately calculated working hours; and the practice of forcing an employee to purchase an item when the relevant employee hadn’t noticed that its expiry date had passed. Compared to the retail employees’ trade union, the Trade Union of Agriculture and Food Workers, which represents fish factory employees, seems to have faded away. It’s difficult to get its Chairman Vladimirs Sokolovs on the telephone, and he only agrees to talk after considerable cajoling. He doesn’t know much about fish processing. The only active company in the trade union is Brīvais vilnis, with a few members from the Unda factory as well. They attract new members through the LBAS newspaper and the internet. To the repeated question about whether these really are the most effective ways of addressing the tired fish factory workers in Mērsrags, Sokolovs becomes annoyed: «What do you want? Do you want me to stand at the factory gates?». Krīgers emphasizes repeatedly that the LBAS, unlike the employers, lacks sufficient funds to lobby in its members’ interests. However, the figures tell a different story. 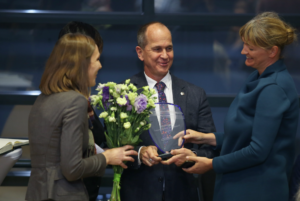 With the help of Lursoft, Re:Baltica calculated that in 2011, the total budget of the LBAS and its 20 member organizations was 5 million lats (7.1 million euros). Of this, about 3.5 million (5 million euros) was collected from membership fees. Of this sum, 3% or 120,000 lats (171,000 euros) goes to the LBAS. The annual budget of the organization led by Krīgers is about a million lats (1.42 million euros) — in addition to membership fees, about 180,000 lats (256,000 euros) comes from renting out property and almost half a million (711,000 euros) comes from various grants. Last year, EU funding provided 220,000 (313,000 euros) of this, which the LBAS was permitted to spend only on community education about workers’ rights. With this the LBAS provided legal consultations to any employee, not just trade union members. The money was also used for putting out a newspaper, conferences, and to pay for a youth broadcast in the media. Another 100,000 lats of EU funding was used to instruct trade union employees, with the aim of attracting new members. As usual in Latvia, the return on this investment wasn’t measured. The LBAS mentions the creation of 45 new organizations as last year’s achievement. The total number of members decreased by 20,000 during the crisis. In comparison, the LDDK employer organization’s budget last year was smaller — 653,000 lats (929,000 euros), of which the majority was EU funding. In its colourful annual report booklet, the LDDK boasts of the changes to the Labour Law which it achieved, which «reduce employer costs and administrative barriers». Requests to reduce overtime payments and in the future to achieve a “more flexible involvement of the trade union in the case of employee dismissals” are also mentioned. Behind this polite formulation hides a request to allow the dismissal of a union member without consultation with the trade union. The LBAS does not have a publicly available report. On reviewing the home pages of both organizations, one has to conclude that the LDDK is much more professional on public relations issues, and that is why it’s much more noticeable in the media. Līga Meņģelsone, Director General of the LDDK, led a number of Latvian media organizations prior to taking up her position in 2010. Pēteris Krīgeris, head of the trade unions, was educated to work in the cultural sphere. In addition to his employment at the trade union, he has regularly been an unsuccessful candidate for the Social Democratic Workers Party in elections for Rīga’s City Council, the Saeima and the European Parliament. Krīgers’ monthly salary is 1,000 lats (post tax). Meņģelsone did not wish to reveal her salary. A European Commission survey published in April shows a distinct shortage of powerful employee organizations in Eastern Europe; trade unions are weaker and there are fewer collective agreements. Only 25% of employees in the Baltic States have their wages determined by collective agreement, while in the «old» EU nations the percentage is about 70%. As a consequence, employees find it harder to improve their lives by collectively having discussions with the government and employers. The government could change the situation in Latvia— by increasing the tax free threshold for income tax and by strengthening institutions which monitor workers’ rights. It could provide increased resources to the State Labour Inspectorate so that it could react quickly to complaints. The government could also improve the court system or introduce another mechanism for the rapid resolution of workplace disputes, so that leaving the country for another job isn’t easier than looking for justice in a Latvian court. Researcher Mihails Hazans stresses that the government must stimulate the creation of new jobs. He suggests large infrastructure projects and increasing the number of social workers. «Something should be built, even roads. Those same roads along which it’s not reasonable to travel from the country to work in Rīga,» says Hazans. It’s also important to attract investment in higher value-added factories, as they can afford to pay higher wages. But for these changes to take place, the people themselves and employee representatives have to be more active. What is limiting the influence of trade unions now in Latvia is not money but a shortage of new ideas. In preparing this article, Re:Baltica found it hard to convince supermarket and fish factory employees to be interviewed. These employees don’t believe they can change their working conditions, or also perceive these conditions as normal and to be accepted. But those who believe in change don’t intend to give up. Not just for themselves, but for the sake of their children too. Maxima shop assistant Santa earned slightly more than 200 lats (285 euros) one winter month this year. She used up about 170 (242 euros) on utilities and household goods, with the remaining sum for food. Even though it was hard for her to get by, Santa still spent ten lats (14 euros) on the purchase of popular science magazines and books, and kept three lats (4 euros) aside for her child’s theatre ticket. «I’d rather deny myself a bun, because a child has to develop,” explains Santa. *All the names of employees have been changed in the article.